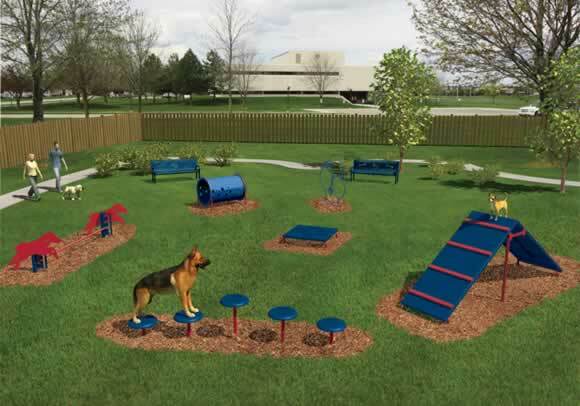 Bark Park Intermediate is great for a dog park, featuring agility obstacles for all breeds, abilities and confidence levels. This structure includes 6 exciting features for fun canine play. Choose from Playful or Natural color schemes to fit your outdoor space and/or organization's theme.